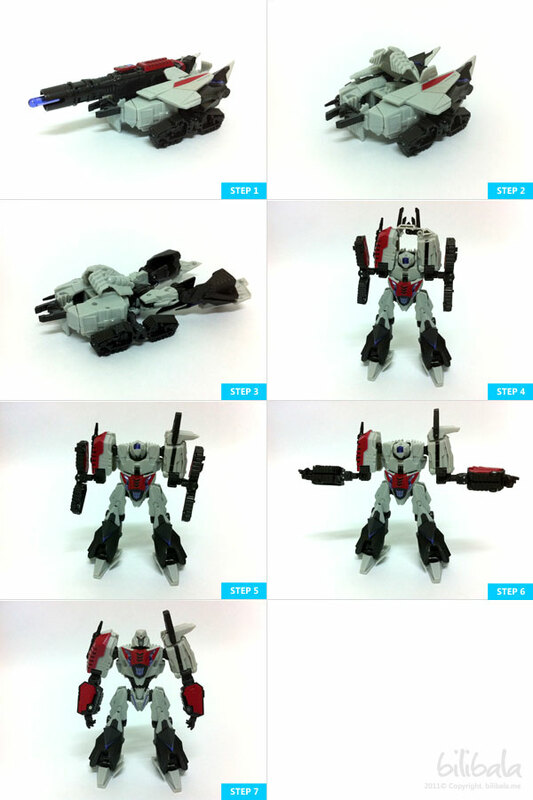 Another Transformers Generations collection of mine: The evil and invincible Megatron! 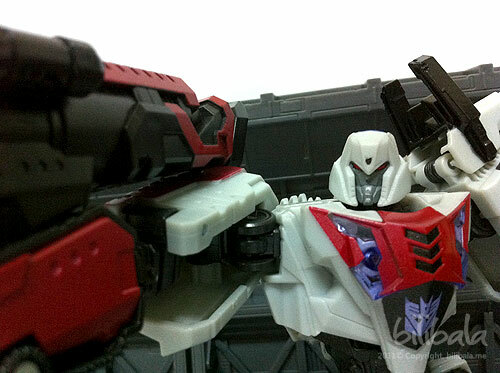 Speaking of Megatron, this is the ONLY Megatron i have in my collection. Reason being, I am not quite a fan of him actually and those previous forms of his is not that attractive to me as well. Let me recall what “forms” he has previously, a gun? 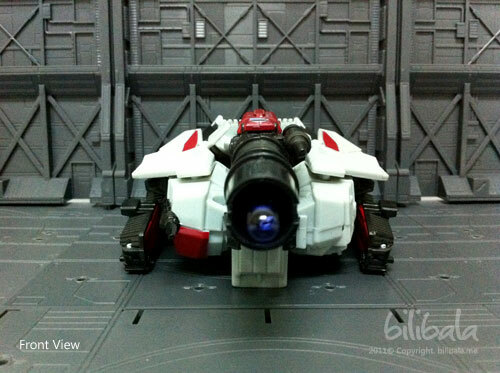 A Cybertronian tank in movie? 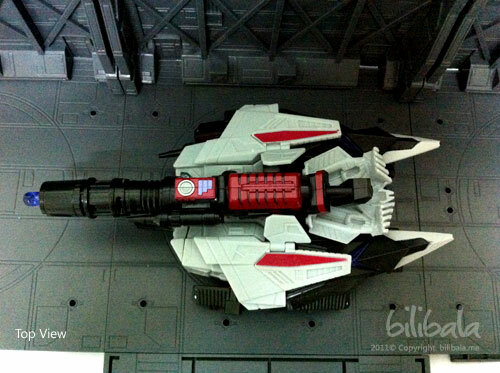 A Cybertronian plane? Gee… doesn’t really appeal to me. YET. 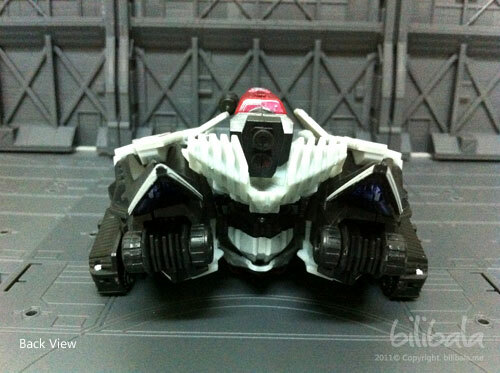 But this new Cybertronian tank from the Transformer Generations line really draws me to him. geee… The magic behind it? well, read on! 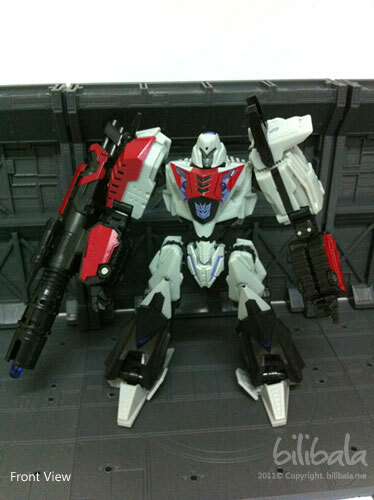 This Megatron comes with 2 versions: Transformers Generations (Hasbro) and Transformers United (Takara Tomy). 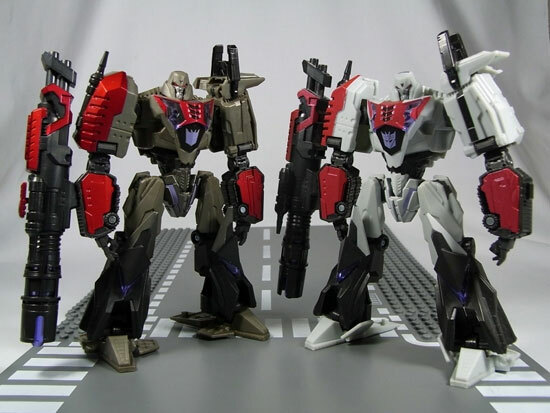 Well, Transformer United is the repainted version of Hasbro Generations as there are no different in the mold for the robots. The only different clearly is only the color/paintwork itself. How different? 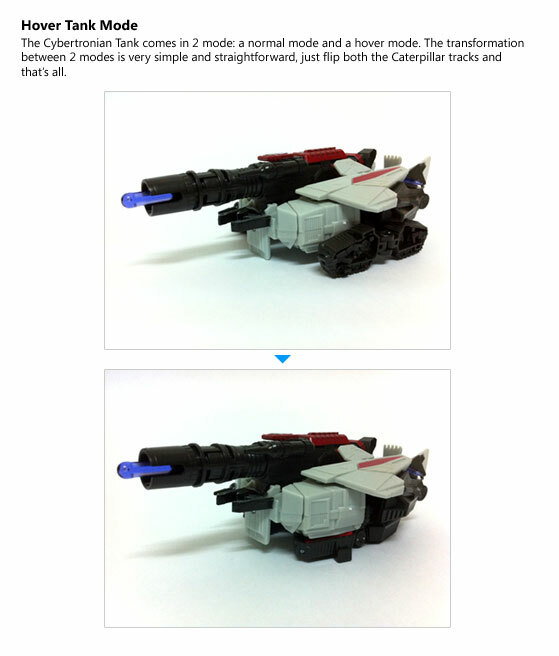 Remember the review on the Soundwave i did previously. The same goes to the Megatron here. 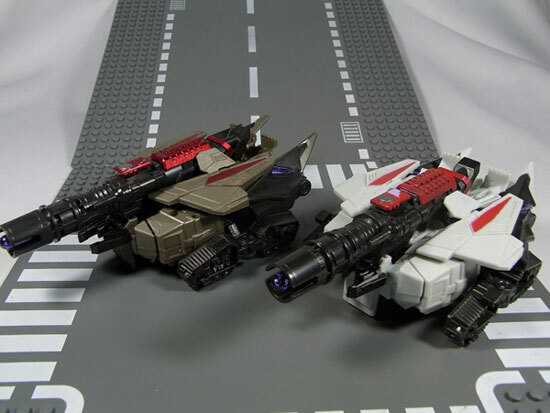 The darker colored version on the left is the United Version while the white color is the Hasbro version. You can notice how different the color between them as the United version has darker metallic silver and metallic red color. 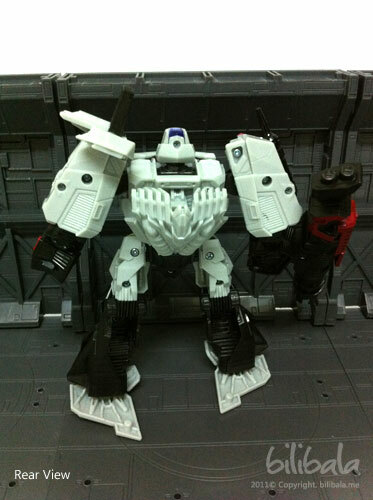 The Hasbro version has the normal plastic white color. Well, there goes the justification for the price being higher in United than the Hasbro version. Regardless of both color different, i found the Hasbro version of joints and quality does improve a lot compare to my earlier Hasbro transformers. The joints are exceptional solid and the plastic is as solid. The paintwork itself (apart from being metallic) is good and detailed. I can say it’s quite worth the buck for buying the Hasbro and moreover, i really prefer the white colored Megatron instead. The darker color United version is just, too, gloomy for my liking. 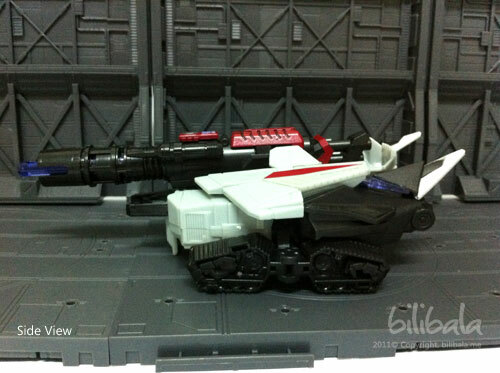 The alternate mode for the Megatron is a Cybertronian Tank which is the same tank you see in the War of Cybertron game. 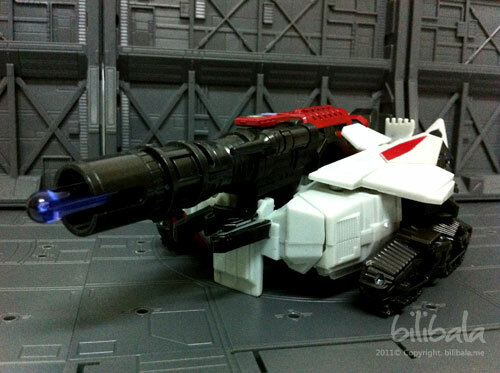 The tank itself holds a large detachable cannon which can also be attached to the arm in the robot mode. See the detailing on the Caterpillar track on the Tank. The detailing on the cannon is quite attractive as well. 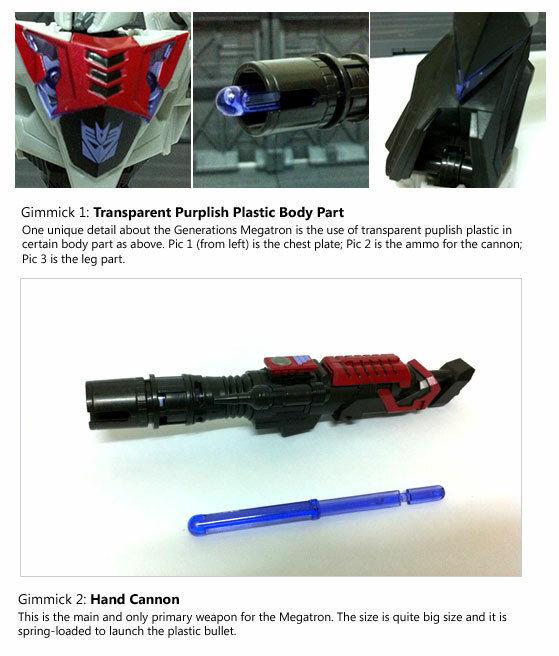 Well, details on every side of the Megatron are shown below. 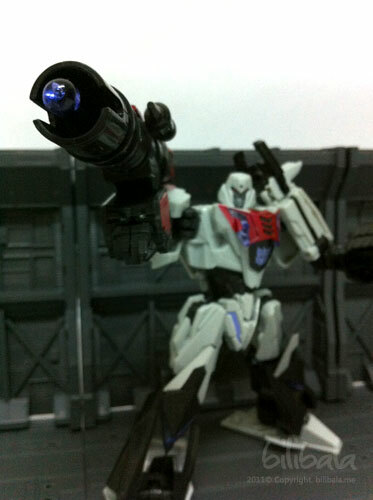 See how the cannon attached to the arm of the Megatron. Although you can see fingers in the arm, they aren’t any articulation to the individual fingers. 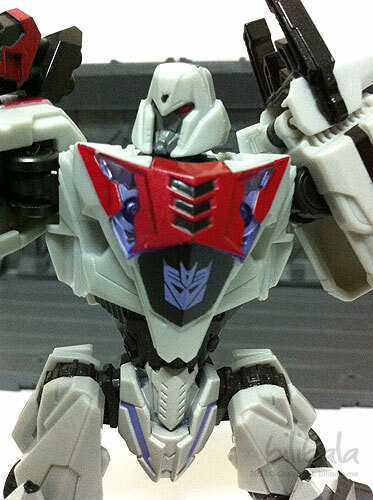 A close up on how the Megatron will look like. Surprisingly, his eyes is not lighted by the light piping mechanism attached to the back of his head. The transformation is quite intermediate. After awhile transforming it (say 2-3 times), it becomes relatively simple and straightforward. 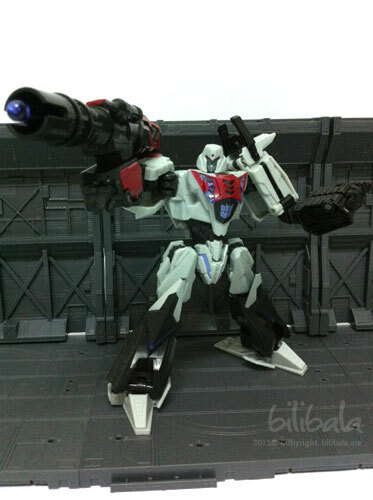 Well, there aren’t many gimmicks for the Megatron. Besides the huge cannon that he has, the other gimmick that worth mentioning is the transparent purple plastic attached to certain part of the body which adds to the details. Nothing fancy. 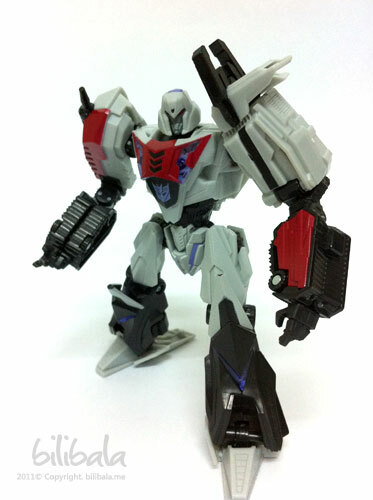 I really like this Megatron design. 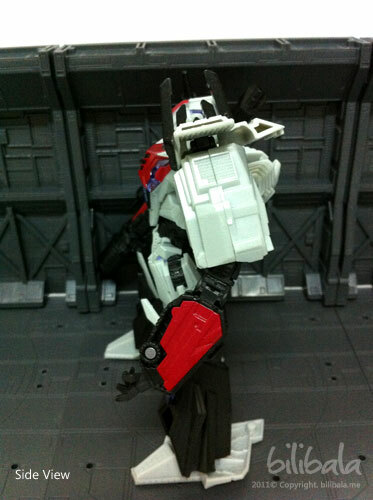 Beside having a cool robot form which you can really pose him in style, the tank mode is also quite awesome. And Hasbro did improve on their joints for this line of toys which is a plus point.